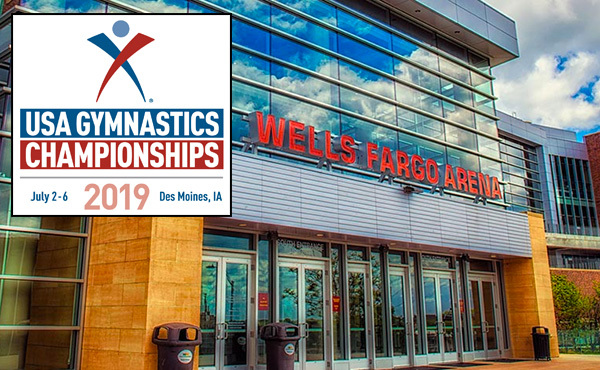 In 2019, the USA Gymnastics Championships, which features more than 1,800 of the nation’s best gymnasts in acrobatic gymnastics, rhythmic gymnastics, and trampoline and tumbling, will be held at the Iowa Events Center, which includes the Wells Fargo Arena, in Des Moines, Iowa, from July 2-6. 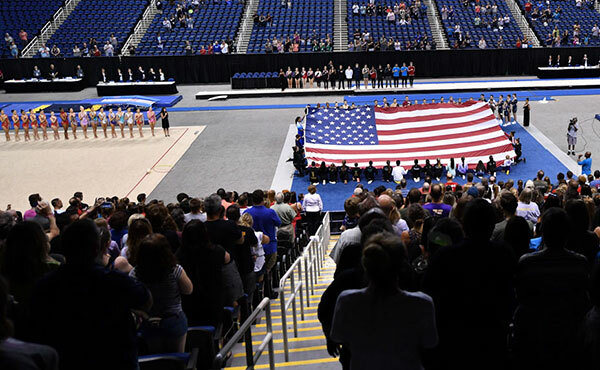 Following the conclusion of the 2018 USA Gymnastics Championships, the U.S. National Teams for acrobatic gymnastics, rhythmic gymnastics and trampoline and tumbling were determined for the 2018-2019 season. Laura Zeng probably doesn’t need all those good luck rituals. 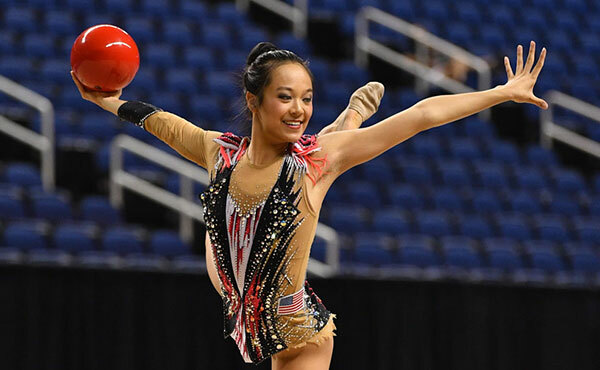 Her talents in rhythmic gymnastics were enough for her to earn her fourth-straight gold medal at the USA Gymnastics Championships Saturday. 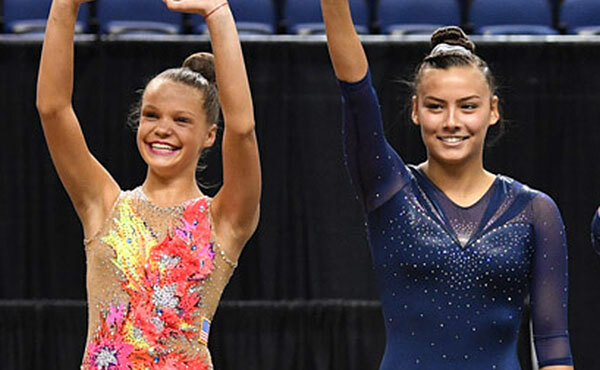 Savannah Thompson and Nicole Ahsinger, both of TNT Express in Lafayette, La., finished one-two in women’s senior trampoline. Thompson, formerly Savannah Vinsant, scored 154.456 for gold. 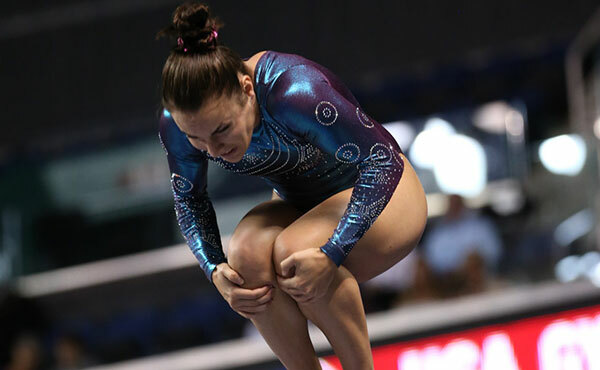 Ahsinger’s 153.250 gave her the silver, while Oh earned the bronze with 153.175. One is shy, the other outgoing. One is tiny, the other big enough to hold her in the air. One is hyper, the other laid back. 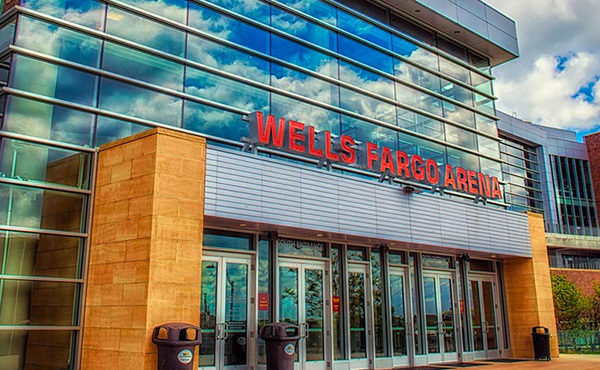 But they have formed a partnership considered among the best in the world for women’s pair in acrobatic gymnastics. 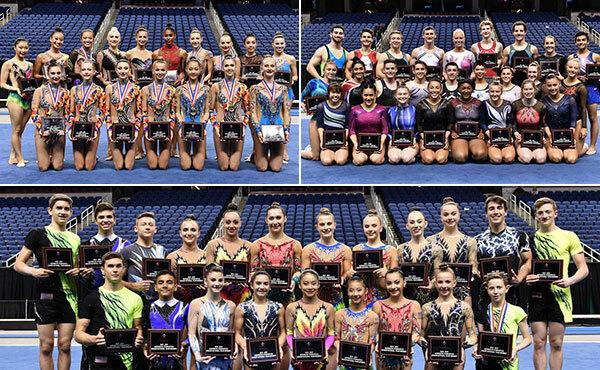 A total of 12 champions were crowned across acrobatic gymnastics, rhythmic gymnastics and trampoline and tumbling at the 2018 USA Gymnastics Championships at the Greensboro (N.C.) Coliseum Complex. The day Alyssa Oh and Elizabeth Kapitonova have been waiting for, training for, anticipating and dreading finally came. July 7 was the day circled on their calendars as the day they would finally find out if they go to the Summer Youth Olympic Games Buenos Aires 2018 in Buenos Aires, Argentina. Alex Renkert was nine years old when he developed a rather serious problem in his elbow. The injury interrupted his gymnastics activities. 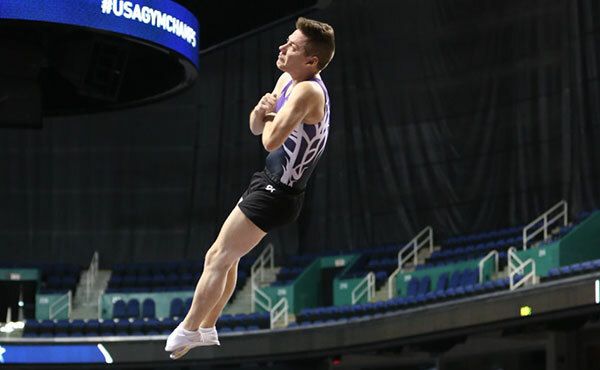 As it turned out, however, it was a blessing for Renkert, the 2017 U.S. double-mini trampoline champion and the 2017 World double-mini silver medalist.